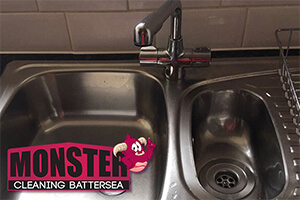 Monster Cleaning has become a benchmark for quality, reliable and cost-effective professional sanitation services on the territory of Greater London. A fine example of precisely how good our services really are can be seen in the outstanding client reviews that we receive for our top notch one off and regular cleaning solutions in Battersea. Naturally, we all strive for client satisfaction and comfort, and on all levels you can count on receiving a personalised, high quality service that is going to cover all your personal requirements and needs. But there is much more. When we are hired to carry out one off cleaning in Battersea, we not only take into consideration the individual specs of the job in question, but also the many years of experience that we have handling similar projects. Thus we are indeed in a position to offer you the best possible service, on the best possible price. Domestic jobs are usually rated at £12.5 while prices for commercial one off cleaning in Battersea with us start at £13. No matter whether you want us to sanitise your entire property or just a portion of it, we will do it swiftly, efficiently and without any hassle and stress. Like all services offered by Monster Cleaning, we have really reasonable rates for regular sanitation too. If you hire us to work at your home, we will do it for merely £9 per cleaner per hour if you book six or more hours of sanitation per week, and £10 per cleaner per hour for 3 to 5 hours. Commercial cleaning rates start at £8 per hour per cleaner for 20 and more hours of sanitation per week, and reach up to £10 per cleaner per hour for 3 to 5 hours. In all cases, you can see that we operate on reasonable prices that will not put strain on your budget. If you want further details, a free quote or have any questions whatsoever, please do not think twice about getting in touch with us.